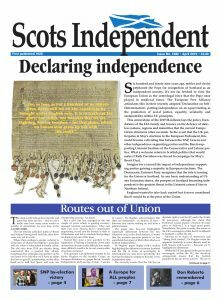 We’re looking for volunteers to help us hand out flyers about the paper at the forthcoming rally in Inverness on 28 July 2018. If you would like to help contact us either through the contact page, email ian@scotsindependent.scot or phone on 01542 840551 . The more people we have the less for each person to hand out and the job gets done quicker. Next Post: THE SUMMER OF LOVE?